TRY BEFORE YOU BUY: Please visit our website to try Mountain before you buy it. UPDATES: Mac App Store customers get the latest version of Mountain for free on our web site. 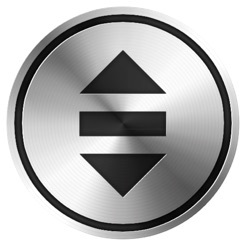 ● With Mountain you can mount, unmount or eject drives with two easy clicks. ● Mountain identifies and notifies you about applications that block drives from being ejected and allows you to easily exit the applications. ● Mountain can be set to notify you whenever a drive becomes available or an external device can be safely unplugged . 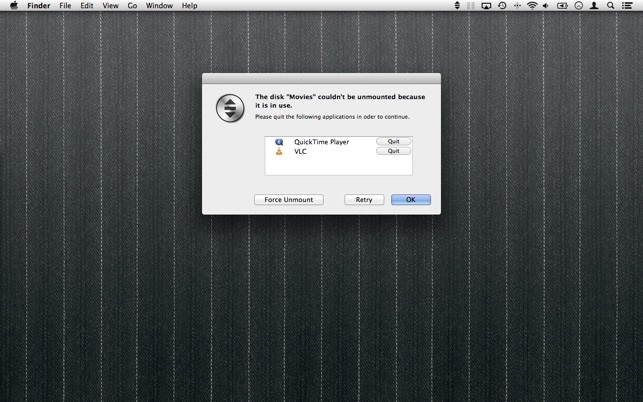 A click on the notification will open the drive in Finder. ● The Mountain menu bar icon will indicate if external volumes are connected or if it is safe to unplug all connections including network connections. ● Resolves an issue which caused showing hidden system volumes. ● Resolves an issue which might have caused external HDDs not going to sleep after being unmounted. 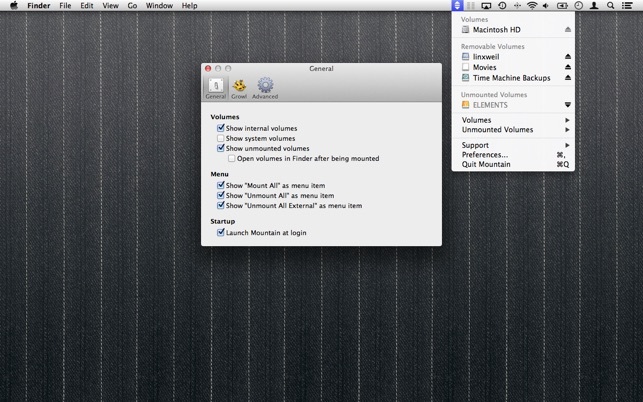 ● Resolves an issue which caused not to open a mounted volume in Finder although the option was selected in the preferences. 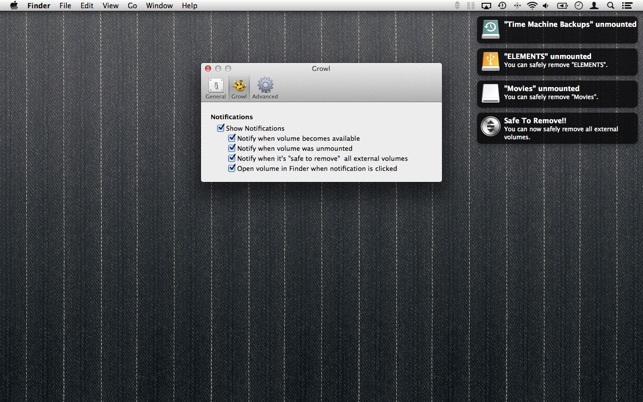 ● Improves mistakable descriptions in the preferences. If you have any issues with external drives this is extremely helpful - especially if they are ever erratic e.g. randomly unmount themselves, or don't remount after they go to sleep. 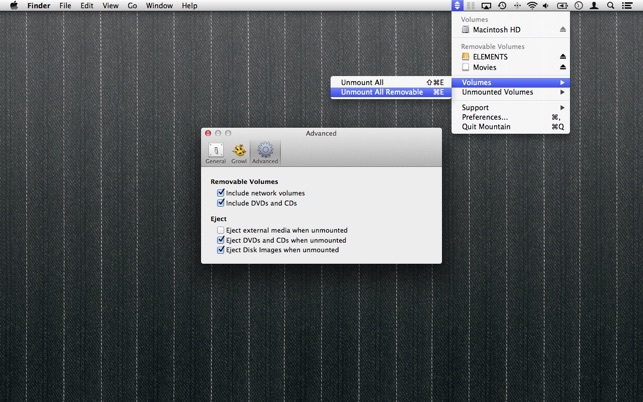 Great for re-mounting drives that are physically connected but don't show in Finder - Mountain recognizes them and can mount them. You don't have to unplug and replug them to get them recognized and remounted. Developers are extremely responsive, and couldn't be more reasonable. I'm very pleased! I don't usually write reviews, but these guys deserve it. BTW I'm using a MBPro with two FW800 drives daisy-chained; and my 2 kids are using MBAirs w/ the Belkin Thunderbolt Dock connected to USB 3.0 drives, ethernet, and cinema displays. It works well for all of us. I have 14 volumes attached to my Mac Mini, several for projects, a dedicated boot volume backup, a dedicated iTunes volume, plus backup volumes for all these. Most of the time I don't need them all open at once and Mountain is a great app for unmounting those that won't be in use for the day, or mounting those that I need. I know, there's always the Devices tab in the finder Sidebar, but I rarely have a Finder window open, but this puppy resides in the Menu Bar and is instaantly accessible. It works well for me and that's what counts. As always, each user's experiences will vary. …and update this app to the unsandboxed version for free on the developer's site. This software has replaced two other programs I've used with similar functionality and it tops them all. The ability to show and quickly remount recently mounted drives put's it over the top. My only suggestion would be that it needs some type of indicator to show that it's working while it tries to unmount your drives. Other than that, it's outstanding.